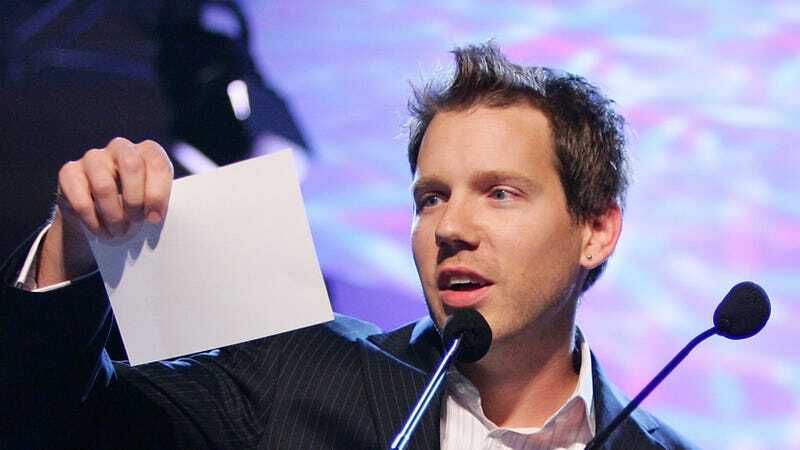 Where is Cliff Bleszinski Going Next? He cooked up Gears of War. was Epic's lead game creator and then, surprising most of us, left. Yeah, Cliff Bleszinski went indie (read "is in between superstar game designer jobs") as of a few weeks ago, and now he's traveling the west coast, meeting people, tweeting images of their offices... maybe he's going to work for one of these fine organizations? Just imagine.. Cliff Bleszinski making Psychonauts 2 at DoubleFine. Or... Hugeville: The Game, designed by Dude Huge himself? From your friends at Zynga. But.. what about EA's upcoming Cliff Bleszinski Presents: Mirror's Edge of War? Or how about Activision's Call of Duty: Modern Warfare IV: The Cliff Bleszinski Map Pack? No, no. Maybe.. Cliff Bleszinski Redesigns Space Mountain?